Spoiler: Does Eric Killmonger have a *SPOILER* in Black Panther #2? Black Panther #2 is out today. This one caught me off guard. 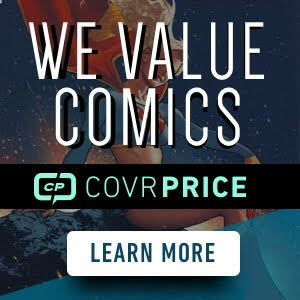 It could be a sleeper with all the other spec going on this week on various books and first appearances. Seems Eric Killmonger is the ruler of the space based nation of Wakanda. And it seems he has more than just the powers of Black Panther to help keep him in charge. The images are redacted. 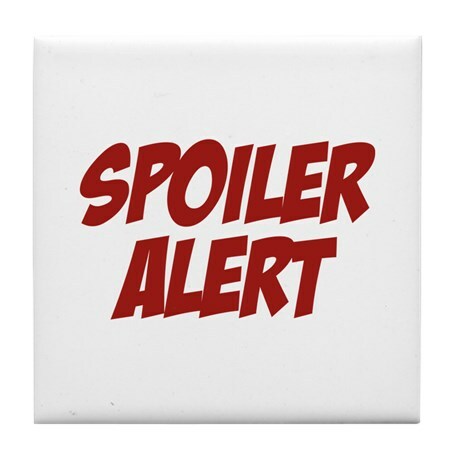 Click the spoiler warning for the spoiler images. The accompanying text is not redacted, so proceed only if you do not mind spoilers. N’Jadaka is Eric Killmonger’s given Wakandan name. He sits on the thrown in Black Panther #2 leading the people. So what do you think? 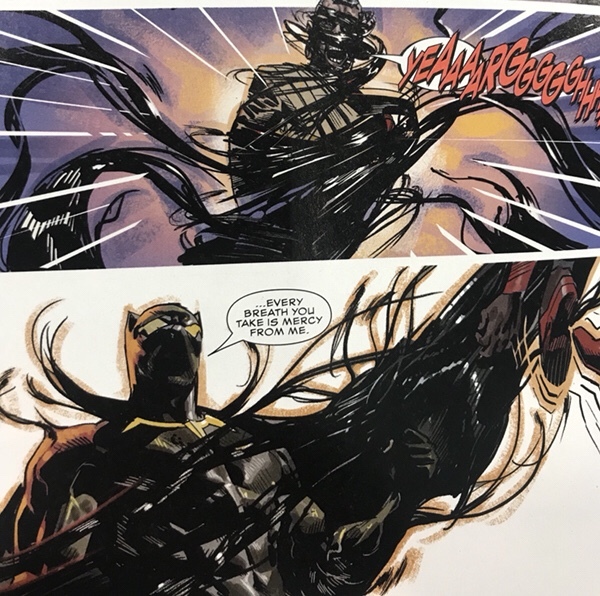 Does Eric Killmonger have a symbiote in the new Black Panther #2? 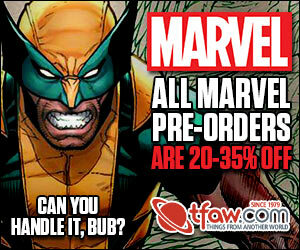 And if so, could it make the 1:25 Dauterman Variant a sleeper? I was excited to see what this spoiler was. What a let down. The house of ideas? Not bloody likely. I grabbed a copy nonetheless. Oh come on. It’s a completely new host for a symbiote (I say jokingly) but actually thought it was cool. It is kinda neat, I do love my symbiotes. It is just so predictably Marvel. At least its more realistic than tbeir other mashups considering the symbiote can attach to any host for the most part. YOU GET A SYMBIOTE! YOU GET A SYMBIOTE! YOU GET A SYMBIOTE! I’ll take one, thanks Oprah. Next Next post: Key Collector Comics Alert: Gideon Falls to be Optioned.